Your chance to name the problems and rate the principles of academic/scientific publishing: the “Online-Konsultation Publikationssystem” by the Berlin-Brandenburg Academy of Sciences and Humanities. Too bad that it’s only available in German! Every year on January 1st, the copyright on any number of cultural texts lapses following intellectual property rights that often last the life of the author + 70 years (depending on the country and jurisdiction). 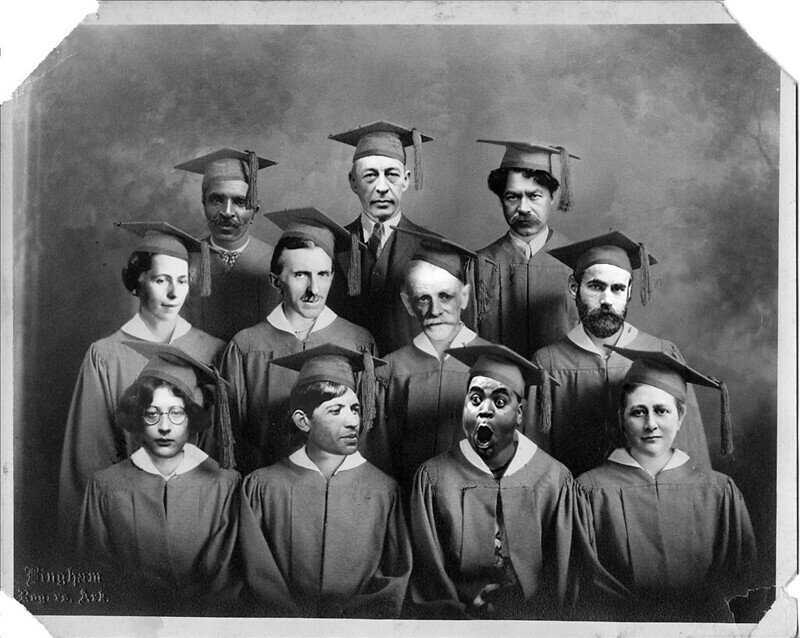 The Public Domain Review – a project by the Open Knowledge Foundation – celebrates the authors whose works enter into the public domain as the class of 2014 (they even include the “class photo” below). Some names this round include Sergei Rachmaninoff, Nikola Tesla, Simone Weil and Beatrix Potter.